As the days grow shorter and colder, think of warmer regions and times with our 2019 Digs Issue! Read about excavation opportunities in 2019 throughout the lands of the Bible, learn what life is like on a dig, and discover a “Biblical” tell in the middle of the U.S. Then journey to the site of Azekah in modern Israel to explore its last days as a Canaanite city and to Tall Jalul in Jordan to explore who lived at this ancient site, which might be Biblical Heshbon or Bezer. Join us on a survey of ancient Israelite seals to examine a military title that has been misinterpreted for decades, learn how ancient Jewish interpreters viewed the characters of Abraham and Lot, and see some artifacts that belonged to ancient Greek celebrities. All this and more is packed into the January/February 2019 issue of Biblical Archaeology Review. 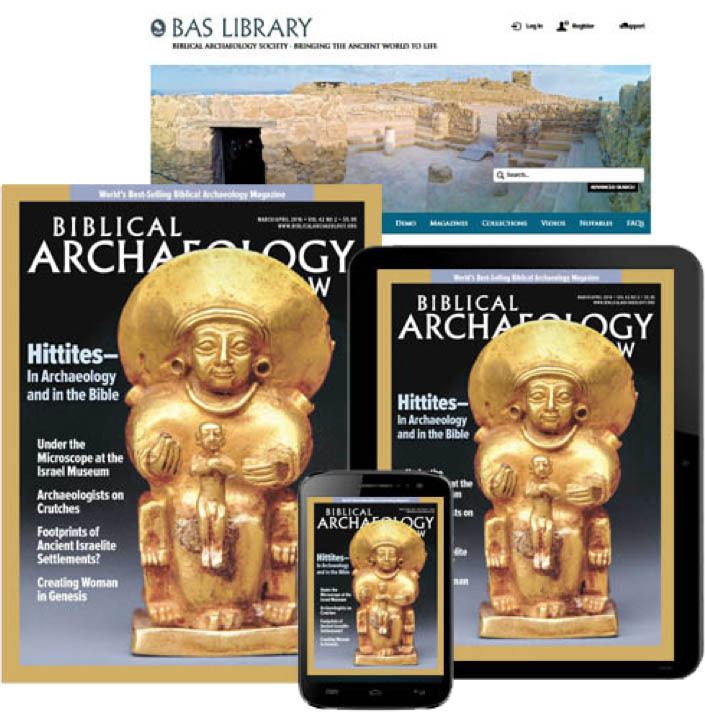 Visit us online at Bible History Daily to see the latest news in Biblical archaeology, as well as additional articles and videos about key Bible and archaeology topics, including anecdotes from our 2018 BAS Dig Scholarship recipients. After hearing their stories, you yourself may be interested in excavating this summer. Use our guide to find the dig that is the perfect fit for you! Be sure to explore the BAS Library, which features every article ever published in BAR, Bible Review and Archaeology Odyssey, all footnoted articles in BAR Notables and Special Collections of articles curated by BAS editors, including one about Egyptian history and its relationship with the Bible. Excavations at Late Bronze Age Tel Azekah reveal various aspects of daily life in this Canaanite city, including its close interactions with Egypt. The gruesome discovery of four human skeletons poses questions about the final days of Azekah and how those dramatic events might be related to the Bronze Age collapse of Mediterranean civilizations. King David’s Stronghold at Khirbet Qeiyafa?